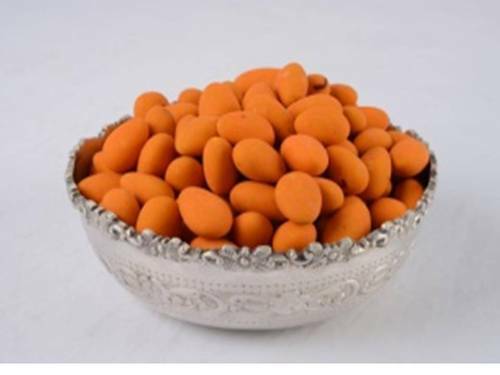 We "Cilantro Food Products Private Limited" are leading supplier of Saffaron Almond. Packaging Details Customized Packaging Available. Since 2011, we have been successfully processing and supplying a wide range of Roasted, Flavoured & Coated Dry Fruits, Nuts, Legumes. These products are prepared under hygienic conditions using quality assured ingredients like salt and edible oil, which are procured from the reliable vendors of the market. All our products are offered under the brand name of "ROSCA", which signifies 'the ultimate product in roasted nut category. We have appointed a team of highly skilled professionals, which helps us in offering quality approved range of dry fruits to our customers. These professionals make sure that the products offered to the clients are free from any bacteria, foreign bodies, and contaminants. Moreover, we make sure that the products are safely delivered to the customers. For this, the qualitative packaging material is used, which ensure freshness of the products. Owing to all these factors, we have been able to gain the complete trust of our clients.